Eyelash extensions help in bringing out the beauty in a woman’s face. It opens up the eyes to give a very energetic and youthful look for the person. These extensions are made of different materials like synthetic, silk, mink, sable and even human hair. Mink or faux-mink- is 100% natural. It is lighter and softer. It has a natural curl but it tends to lose curl when wet. It is costliest and most luxurious of all the extensions. Sable- is taken from an animal that lives in the forest of Russia and Siberia. It has the thinnest strands and so, it is used for people with thin eyelashes. 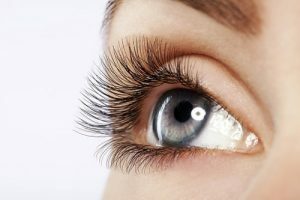 Silk eyelashes– are thicker than mink. It is of low maintenance and is water friendly. Synthetic- are thicker and fuller in nature and so, gives a dramatic look to the eyes. Women prefer to use them when going for parties. The extensions are quite different from the false eyelashes. The false eyelashes are easily available in stores and are easy to use while extensions are difficult to use on your own. False lashes are where all strands are connected to one band that makes it look very artificial. While extensions are glued onto the eyelashes to give a more natural look. False lashes can be used for two weeks but it has to be removed every night before sleeping and reapplied the next morning while extensions last for eight weeks but has to be refilled every 3 to 4 weeks. There is no need to remove the extensions during the night. False lashes are not water resistant while extensions are water resistant. The other benefits of eyelashes are- It makes the lashes look thicker, longer and fuller naturally and so there is no need for eye make up. Thus, it is time saving. You can select the extension that suits your face and eyes perfectly. Get your extensions put from an established salon and done by professionals. If botched, it can lead to inflammation, infection, reaction to glue, the extensions can fall off or it can damage your natural eyelashes.